The IUCN Polar Bear Specialist Group, the IUCN Red List, and Environment Canada (see below) agree that the population size of Western Hudson Bay subpopulation is 1030 or about 1000 bears, based on surveys conducted in 2011. For the last few months (most recently, here and here), Andrew Derocher has been telling anyone who will listen that that the number is 800. And no one challenges him – not a single reporter asks where the number comes from, not a single research colleague who knows the truth has publicly stated that Derocher is spreading misinformation. UPDATE 16 December 2016, half an hour after posting: Add The Atlantic to those accepting Derocher’s misinformation on WHB polar bear numbers without question, and failing to see that because patrols in Churchill were stepped up considerably after a serious mauling occurred in 2013 (because several bears got through their Halloween dragnet), more “problem” bears in Churchill since then only mean the Polar Bear Alert folks are doing their jobs. But what does The Atlantic conclude, after talking to Derocher? 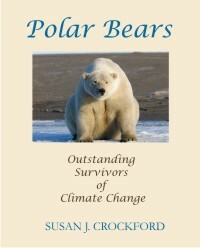 Never was a rational book on the science and conservation status of polar bears more desperately needed – it will be available soon. I’ve written about this several times (here and here, among others): the 800 figure (actually, 806) came from a limited area mark-recapture survey that examined bears in less than half of WHB territory. It could not be reliably compared to the previous survey of the same kind because it did not cover the same territory (Lunn et al. 2014, 2016). The 1030 number comes from an aerial survey of the entire region done the same year (Stapleton et al. 2014). The biologists involved in reconciling the two different methods of counting concluded that the aerial survey count is consistent with only 800 bears in the limited area that the mark-recapture study examined, which makes perfect sense. Not only that, but the 1030 number means that statistically speaking, there was no decline in population size since the previous count, which was done in 2004. There is always a large margin of error (sometimes called ‘confidence intervals’, the +/- range of estimates) in counting bears. That means if the ranges of two counts overlap, the actual number of bears that existed is probably close to the same (or could be). But Derocher prefers 800. He doesn’t explain why he keeps insisting there are only 800 bears in WHB when everyone else accepts that a number around 1000 bears is the more accurate figure. 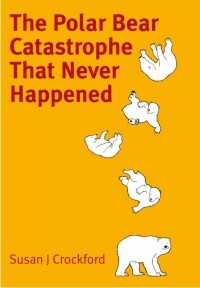 His colleague Nick Lunn pulled the same trick back in 2013, after the mark-recapture survey report he’d led had been completed but before it was available to the public: no one could see (from looking at how the data was collected) how flawed was the estimate of 800 bears, so everyone believed him. The news of a significant decline – with more predicted for the future, got a huge spread in The Guardian in November 2013 (“on the verge of collapse” said the headline, “death rates have soared” said the story). An aerial survey was apparently conducted this year but the report containing the results have not been made available. However, reports this summer and fall that there have been lots of bears onshore in WHB (and that bears were in good condition when they came off the ice), suggest there has been no decline in numbers since 2011. More than 90% coverage in 2016 but look at 1998! There was still <40% ice cover in northwestern Hudson Bay that week. And overall, 1971 was the lowest of all: go figure. 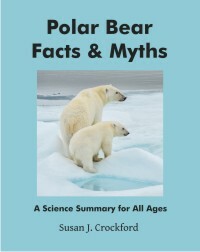 This entry was posted in Advocacy, Conservation Status, Population, Sea ice habitat and tagged breakup, count, fake news, freeze-up, misinformation, polar bear, population size, sea ice, survey, western hudson bay. Bookmark the permalink.